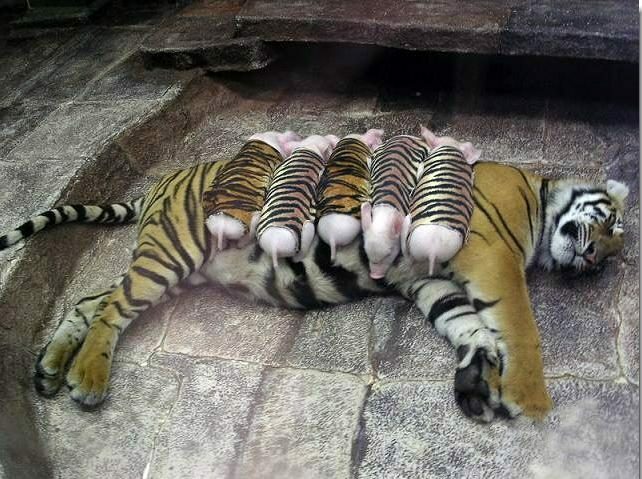 Do These Photographs Show a Tiger Nursing Piglets? Photographs claiming to show a mother tiger at a California zoo who nursed a group of piglets after her own cubs died are mislabeled. A mother tiger at a California zoo nursed a group of piglets after her own cubs died. In a zoo in California, a mother tiger gave birth to a rare set of triplet tiger cubs. Unfortunately, due to complications in the pregnancy, the cubs were born prematurely and due to their tiny size, they died shortly after birth. The mother tiger after recovering from the delivery, suddenly started to decline in health, although physically she was fine. The veterinarians felt that the loss of her litter had caused the tigress to fall into a depression. The doctors decided that if the tigress could surrogate another mother’s cubs, perhaps she would improve. After checking with many other zoos across the country, The depressing news was that there were no tiger cubs of the right age to introduce to the mourning mother. The veterinarians decided to try something that had never been tried in a zoo environment. Sometimes a mother of one species will take on the care of a different species. The only “orphans” that could be found quickly, were a litter of wiener pigs. 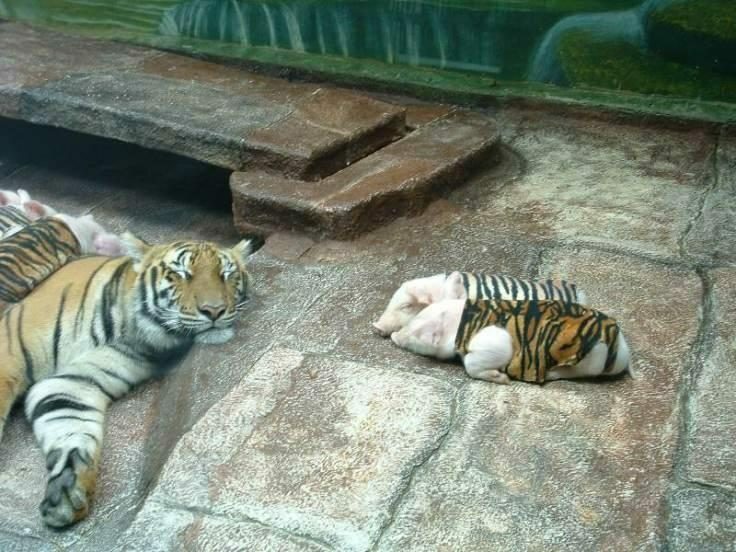 The zoo keepers and vets wrapped the piglets in tiger skin and placed the babies around the mother tiger. In another area, a visitor could feed milk to a young tiger resting on his or her lap — a young tiger still in possession of his claws … There was a tiger circus, not dissimilar from a circus anywhere else: tigers leaping through rings of fire, walking across a double tightrope, parading around the ring on hind legs, and riding around on the back of the horse. Unbelieving, wide-eyed tourists pressed their noses up to the cage to get a better look. As they moved on to the next cage they were in for another surprise, as there, a great Royal Bengal tigress was lolling on her side and suckling 6 tiny piglets. ‘Momma’ tiger Saimai is two years old and as a baby was suckled by a pig until she was 4 months old. This democratic start in life allowed her to form a loving relationship with other pigs and even a dog. Food in the wild, maybe — but at the zoo, tourists who witness these amazing scenes come away with food for thought. Although these pictures might appear charming and innocent, the AWI noted back in 2004 that there may be a darker side to the Sriracha Tiger Zoo, as press reports stated that Sriracha was under investigation for illegally breeding protected wildlife for commercial export and had been implicated in the sale of a hundred tigers to China (where there is strong demand for tiger body parts for use in traditional Chinese medicines). 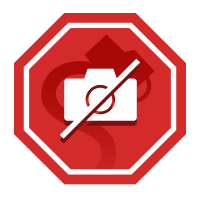 The AWI also noted that in late 2004 the zoo was closed for a month when between 80 and 100 tigers died or were euthanized due to an avian influenza (probably spread via the raw chicken carcasses fed to the tigers) that swept through the facility.